How can reaching for the goal of salvation be attained practically? Pain can sharpen the souls awareness of its need for God, answers the author. How do we turn lifes suffering into love, joy, peace and  above all  beauty? With every occasion that I choose to ignore some splash of splendor in favor of focusing on the cares of this life, I increasingly lose my sensitivity to the beautiful, Lynette Smith answers. As a convert to the Orthodox Church the author shares her path and points to a way to follow Christ in everyday life that is within the reach of every person. With down to earth poignant candor and humor, Lynette weaves her personal experiences together with deep meditations on Orthodox faith that will speak to all seekers of spiritual truth - be they Orthodox or not. Casting inspirational light on the Liturgy, the Scriptures, and wisdom from the Fathers and Mothers of the Church the author helps her fellow travelers to embrace a refreshing relationship with God. 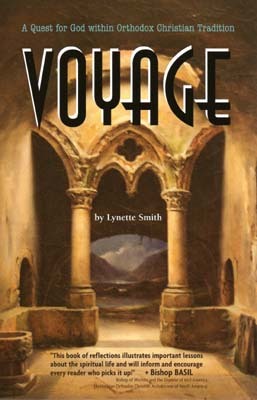 About the author: Lynette Smith is the youngest of five children and the daughter of a small town evangelical pastor. Lynette grew up on the Navajo Indian Reservation in Shiprock, New Mexico, and then as a teen assisted her parents with missionary work in Southeast Asia. In the midst of studies for a Masters in Old Testament theology, Lynette converted to the Orthodox Church. Lynette has taught Bible studies in Protestant and Orthodox churches and currently serves as chanter in St. Columba Orthodox Church. size: 8.5 x 5.5 x 0.5"